We hope that everyone has enjoyed their long Memorial Day weekend. We hope it has been fun and safe for you all. We've been having our fun that's for sure, starting with our two 7-inning vacations on Friday. We spent the day at the pool playing ladder ball on Saturday (of course this was after taking care of some yard work). We followed that up with some much needed shopping on Sunday (frankly we were all in need of some new duds so we spoiled ourselves a little). 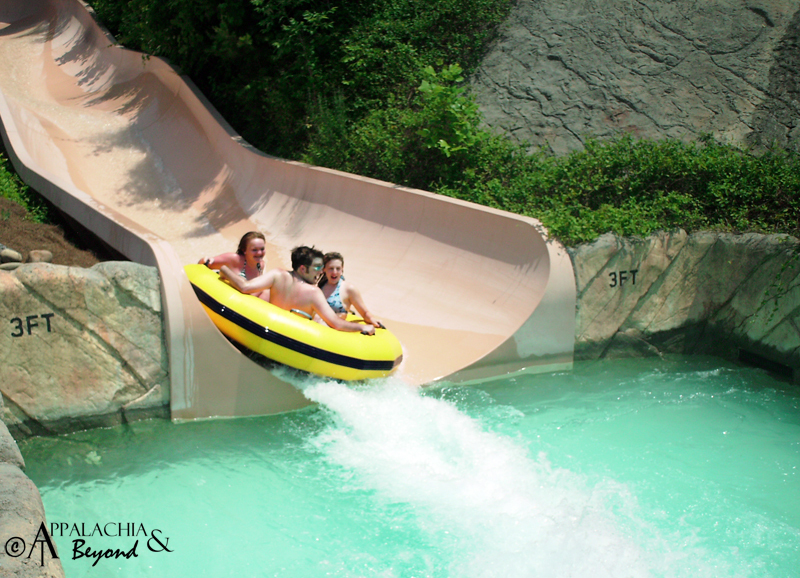 Today, we played tourist in our own back yard Pigeon Forge, spending the day at Dollywood's Splash Country. We play tourist in Pigeon Forge about twice a year (once around Christmas Time to look at the lights, and at least once visiting attractions like Dollywood's Splash Country or Dollywood). We are definitely wore out after having been beat down by the sun all day. I don't know how much longer we will last before our beds claim us for the night only to rest up and start the rat race all over again in the morning. However, the bright side to this are that after having today off, it's only a 4-day work week (Woo-hoo). So before our bodies decide to shut down on us for the evening, I know you've all been waiting to see who won the "Orion Sky" print giveaway. You've all shared your favorite constellations, liked us and Random Joy Fine Arts and Photography on Facebook, shared the post on your walls, Tweeted and even mentioned the giveaway on your blogs. For that we thank you all for your participation and support of Appalchia & Beyond. So without further ado, we give you the winner of the "Orion Sky" print by Random Joy Fine Arts and Photography. 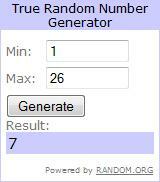 After plugging in the 26 comment numbers into the Random Number Generator at Random.org, we are pleased to announce that comment #7 - Jobiwan is our grand winner. Joe, send us an email at appalachiaandbeyond (at) gmail (dot) com with your mailing address and we will get the print out to you in the next couple of days. We hope you enjoy the print, after reading your first entry comment we are certain that you will. That's all we have this evening. Our bodies are ready to shut down at any time now, so we'll bid y'all adieu and hope you have a wonderful week. Stay tuned as we will have more posts to follow in the coming days and there may even be another giveaway opportunity for you to jump on too.